Photograph taken from a position 4.7 km S of Otter. Note Pattullo, R distance, approximately 29 km to the NE. 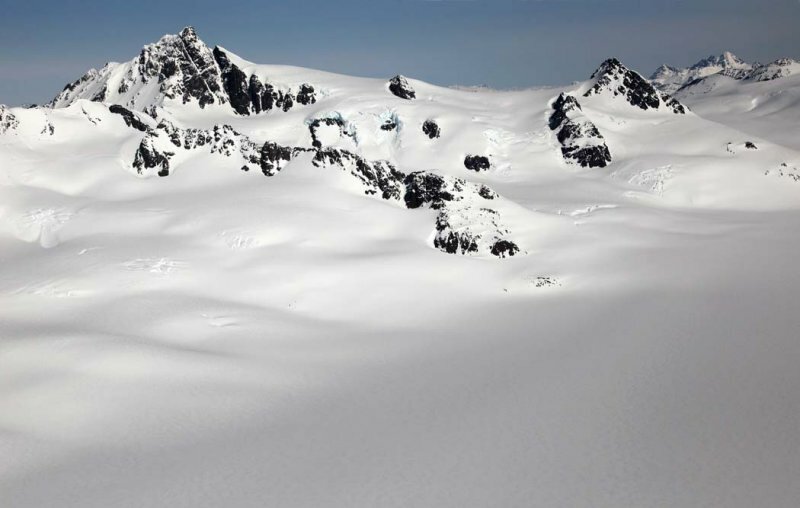 The glacier at foreground/R is the "east" branch of the Cambria Icefield. Otter: N 56°00' 24" W 129°41' 34"